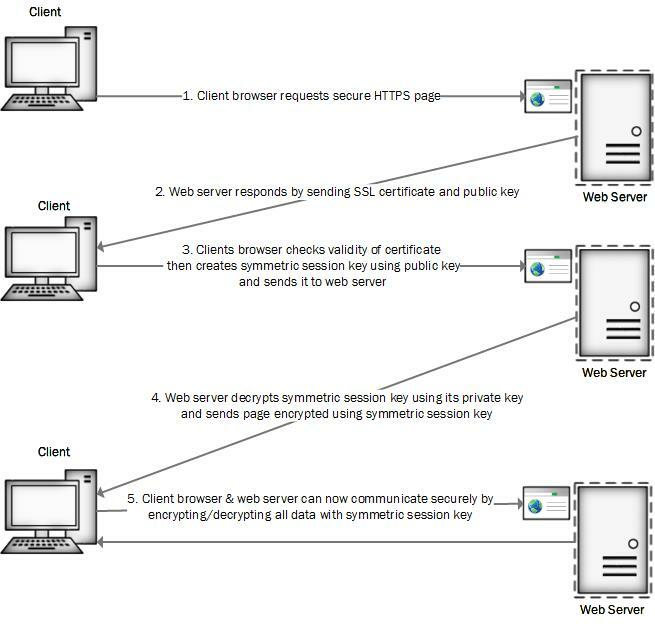 Below is a very simple overview of how SSL works in an asymmetric browser to web server scenario. 1. The client browser (eg Internet Explorer, Google Chrome, Safari etc) requests a secure HTTPS page by typing in https://www.domainname.com . 2. The web server responds by sending SSL certificate and public key.